Jump in the car and hit the road... or in this case, the dirt, as you explore 30 kilometres of rolling hills between Valle d'Itria to the olive grove plains. Watch the scenery roll by as your skilled driver tackles the rocky terrains, boulders and muddy roads to give you a view of Monopoli that goes almost unseen. 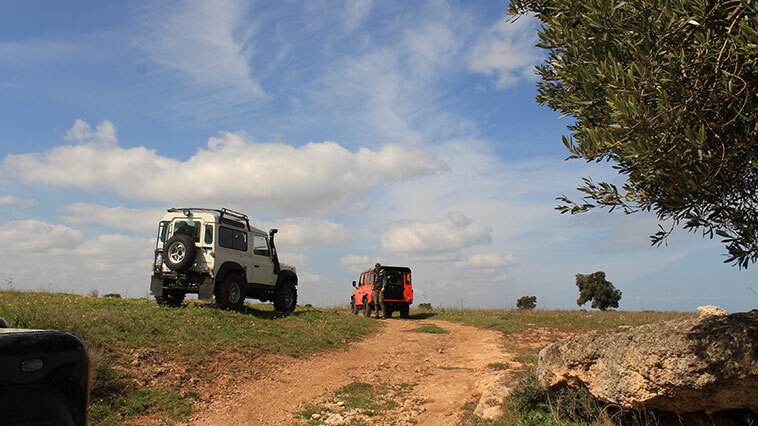 Explore a trappeto (an underground olive mill carved into stone), learn to drive a 4x4 through rugged, off-road terrain, and learn about the local flora and fauna from your experienced guide. Getting access to parts of the countryside you wouldn’t otherwise. Learning a new skill – how to tackle off-road tracks. You’re in remote country, so you might need to travel between toilets. Make friends with trees and bushes. This isn’t for those who want to travel in style. It’s a bumpy ride out there.